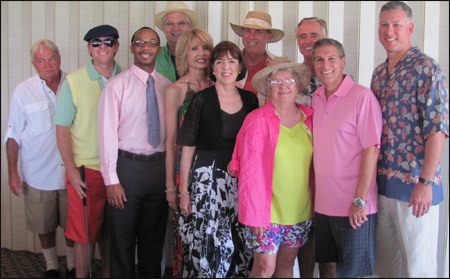 "Politicos On Parade", a political stars fashion show and luncheon, was presented by the Volusia County League of Women Voters on May 12th at the Oceanside Country Club in Ormond Beach. Rice & Rose Law was one of the sponsors of the event. Those in attendance had an opportunity to meet current politicians in a relaxed, festive atmosphere. The League supports non-partisan voter service programs throughout Volusia County.